Argolis | One Day - GS Travel S.A.
Drive to Mycenae, the Homeric city of Atreides, the city “rich in gold” of the ancient poets. Visit the Lion’s Gate, the Cyclopean Walls, and the Royal Tombs e.t.c. 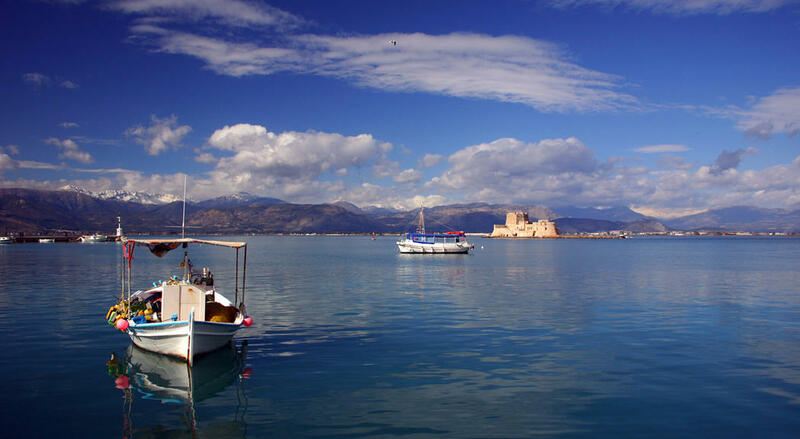 Depart for Nauplion through the fertile plain of Argolis, the picturesque town nestling at the foot of a cliff crowned by the mighty ramparts of the Palamidi Fortress (short photo stop), leave for Epidauros, to visit the Theatre (4th century B.C.) famous for its astonishing acoustics. Return to Athens by the National road connecting Epidauros with Corinth. Lunch in Mycenae. N.B. Clients staying at the coast will depart for their hotels from G.O.TOURS terminal, around 19.30 hrs.